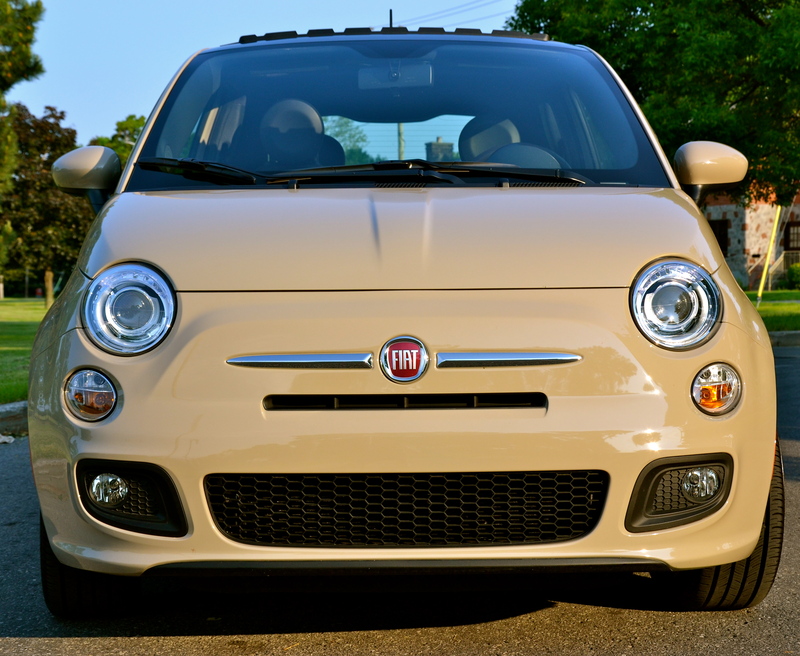 The Fiat 500. The iconic Italian car from the ’60s has received, like the Mini Cooper and the VW Beetle before it, an update that maintains and honours the car it used to be whilst making it even better. I am now the very proud owner of my very own cinquecento, but before I get into how much I love it, let me set some context to this entry. I am obviously not writing about bikes for once, but I could not let this big occasion go by without giving it some airtime. The last time I bought a new car for me was back in 2002, and the car was a Mazda Protége 5. Until just yesterday, this was the car I still drove. I like to think I got my money’s worth with it, but lately it had reached the stage where a minor repair was costing north of $500 a shot, and these repairs, or ‘maintenance’ as some like to call them, were becoming more frequent and more serious in nature. The bottom line is that a few weeks ago we had to take the decision to continue sinking more and more money into a car that would realistically only keep going for another year at the most, or cut our losses and move onto something new. I resisted the idea of a new car for some time. I did not want to spend the money and I thought of numerous excuses why we should not buy a new car. But then all of a sudden the idea becomes appealing and from that moment you kind of know you’re going to end up buying sooner or later. The reasons you had used to justify keeping the old car all of a sudden turned around in your head and you are now using them to justify buying a new set of wheels. So, having made the decision to take the plunge, the next decision was what car to buy? I had, for a couple of months or so, had a mad craving for a Jeep Wrangler. I am not sure where this came from other than the fact that I have always like WWII films and of course they feature the original Jeeps on which the Wrangler is based. I thought it would be kind of cool to have a Jeep and ride around with the doors off and the roof down and even the windshield folded down onto the hood. I refused to listen to the comments from friends and family warning of the ludicrously thirsty engine as well as the completely impracticle aspest of parallel parking such a monster anywhere downtown. I just had it in my head that I wanted one. Well thank goodness for test drives. 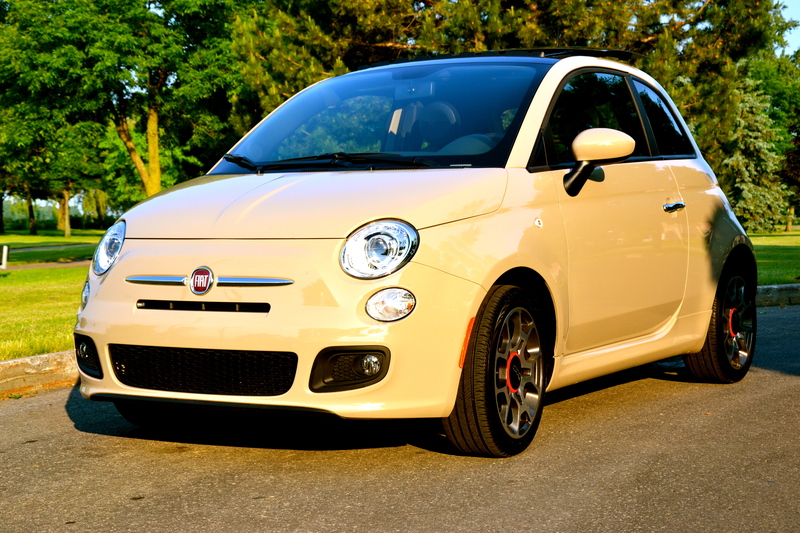 This is where the Fiat 500 comes in. Not because the sales rep recommended it. He would have been taking quite a leap to suggest a Fiat 500 to someone who had just test driven a Jeep. No, it came from Marie. As soon as she saw the little red one on the showroom floor as we walked in earlier that afternoon she had remarked to me “That’s the car you should get. It’s awesome!” I wasn’t convinced at first. It’s not that I didn’t love the car. I really did. I love the retro throwback to the 60s and the smooth European styling. It’s look has changed very little from the original, but at the same time it has definitely arrived in the year 2011. I really liked it. But I acted cool at first and pretended like I wasn’t that interested. Marie was surprised and a little disappointed. Of course, she knows me really well, and I mean really well, and she knew something was up. “What don’t you like about it?” she asks me. “Nothing. I like it. Just not sure that’s the car I want” I say, probably not sounding terribly convincing. “I don’t get it. I thought you’d love this car. It’s fun, very cool looking and there aren’t many of them adding to a semi-exclusive appeal….” I am paraphrasing of course, but that was the gist of it. Once again I am not too old to learn something new and this was another invaluable lesson. I don’t let what others think affect as much as they did when I was younger, but I suppose it’s hard to let go of all one’s hangups. This was one I was well and truly ready to let go of thanks to Marie. I like the car. No I love the car, and this was the car I was going to get. And just let one of you call me a chick for buying one! I dare you! 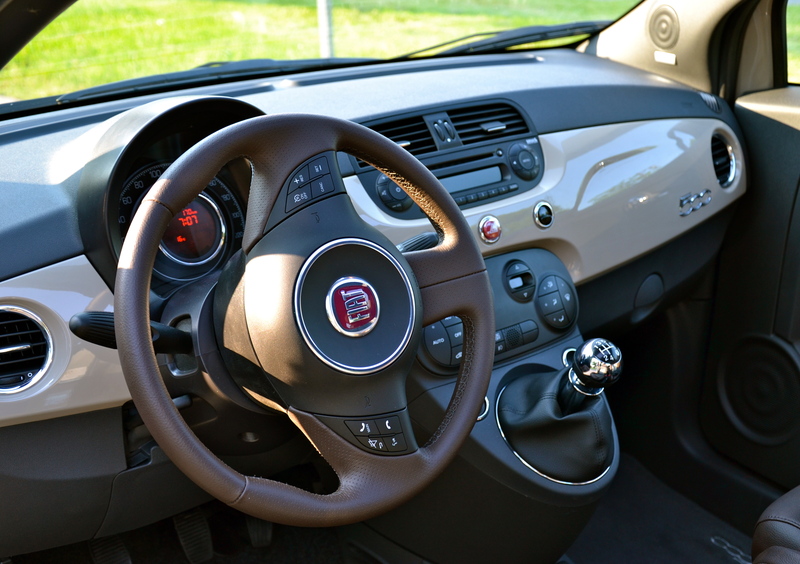 The stylish interior of the Fiat 500. I am now the very happy owner of the 2012 Fiat 500. Sporty, yet classic. Luxurious yet still fun and peppy and without any of the stuffiness that accompanies larger luxury cars. The interior has managed to maintain a lot of the extreme simplicity that was a key part of the character of the original Fiat 500. The painted dash, the same colour as the exterior, screams 1967 (or thereabouts) but the upgrades include a steering wheel that features all the controls you could possibly need to ensure you never have to remove your hands from the wheel, and the chromed gear shift is an awesome though not over-the-top touch that makes the amateur driving enthusiast (read me) feel like their behind the wheel of something distinctly sporty. As far as the driving experience itself goes, it is brilliant. The car is small and very responsive. Put it into “Sport” mode and you stiffen the suspension which provides a noticeable difference in the feel of the ride. It’s a small engine, but then the car weighs no more than a large smoked meat sandwich, so pulling through the gears you feel something like real acceleration. The dash is very simple and initially looks as if it has no bells and whistles, but hidden in there is all the information you could possibly want from your car, including range in the tank, average speed and exterior temperature. To top it off you have the Bluetooth connection which allows you to pair your iPhone (or any phone) so that as soon as you step into the car and turn it on your phone is active through the voice recognition system. All this is controlled from the wheel, so once again you don’t have to take your hands off the steering wheel to place a call. Unbelievable! There are fancier cars out there, but this is the car I wanted. Thank god I have a wife who knows me and knows how to get me to admit to myself when I am being a tool. It’s not the first time she has helped me see reason, and I am fairly sure it won’t be the last. I love this car so much that I drove to work today instead of taking the Paddywagon. Yup, it was a beautiful sunny, dry day, perfect for riding. But it was also perfect for cruising with the sunroof open. Awesome! This ain't no girl's car!